Deals, deals and more deals. Each week the news is filled with more M&A transactions in different sizes and markets. In 2015 the focus in the technology market seems to remain in Cloud, Mobile, Big Data and Security. 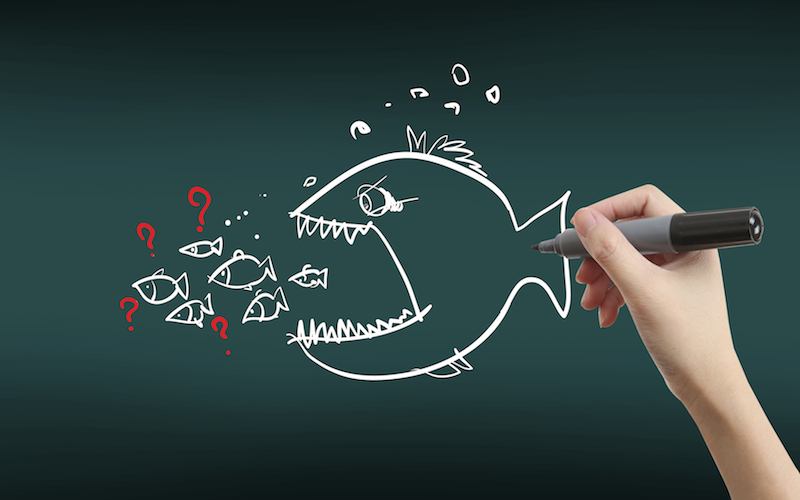 The Internet is full of different websites that enumerate M&A transactions but technology news blog Network World has compiled a useful list of the top Enterprise IT mergers and acquisitions in 2015 that are tracked in real-time. The page is regularly updated with the latest top deals in the IT world. 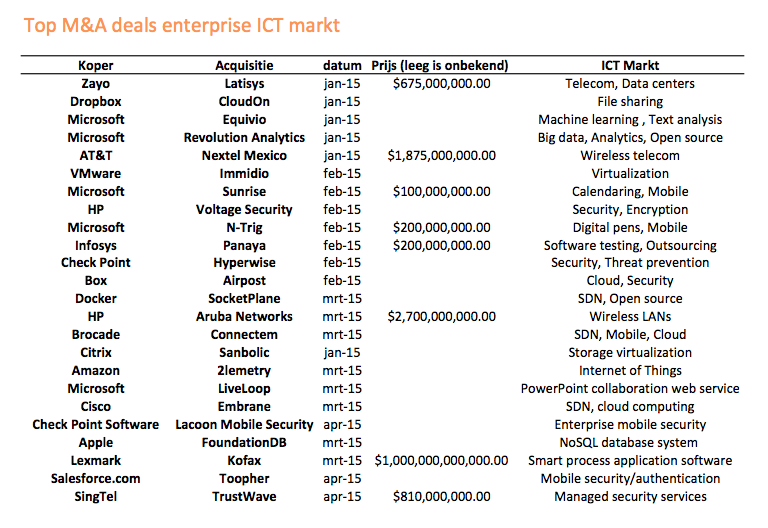 Deals even bigger in 2015? The M&A war chest of the major IT players has reached a considerably volume which can be clearly seen in the deal size of the M&A transactions and the strategic ambitions of the IT companies. In the first months of 2015 we have already seen three mega deals where the transaction value was over a billion dollars. HP is the biggest spender for the time being trying to compete with CISCO through the acquisition of wireless network giant Aruba Networks for 2.7 Billion Dollars. Doing M&A deals in the first part of 2015 seems to be more important because of the current very low interest rates and lending costs in the US which are probably going to rise later in the year. The most noticeable Tech company now in the field of M&A is Microsoft who is investing heavily in strengthening its productivity apps through the acquisitions of Live Loop (online PowerPoint tool) and Sunrise (popular calendar app), but also investing in Big data, analytics and mobility by buying N-trig, Equivio and Revolution Analytics forces. Microsoft is continuing its strategy of buying innovative technology that it has not developed in-house yet to stay competitive in the long term with companies like Google, IBM, Amazon and Apple.